The May meeting was held at Jack Putnam's. Since I was busy with a production of "Music Man" I can only tell you what I have heard. It was decided that the May 30th Bluffton tour would leave at 10:30 for Ottawa (this tour was later cancelled). 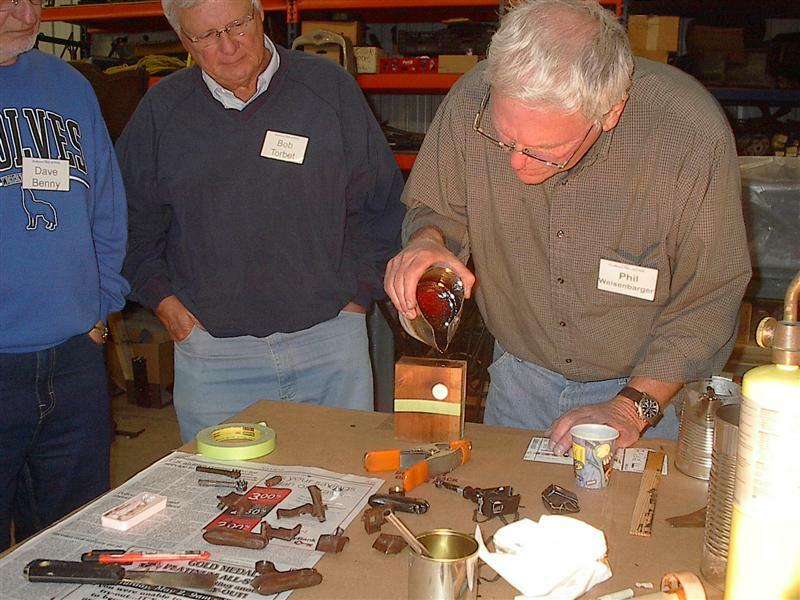 Phil Weisenbarger demonstrated the technique of production castings from hot wax. sometimes referred to as lost wax or investment casting. Marion Historical Society is running a pre-WWII meet in June. It is a Friday-Saturday-Sunday event. The registration is low when you look at all of the activities that they have lined up. It sounds like a well planned adventure. 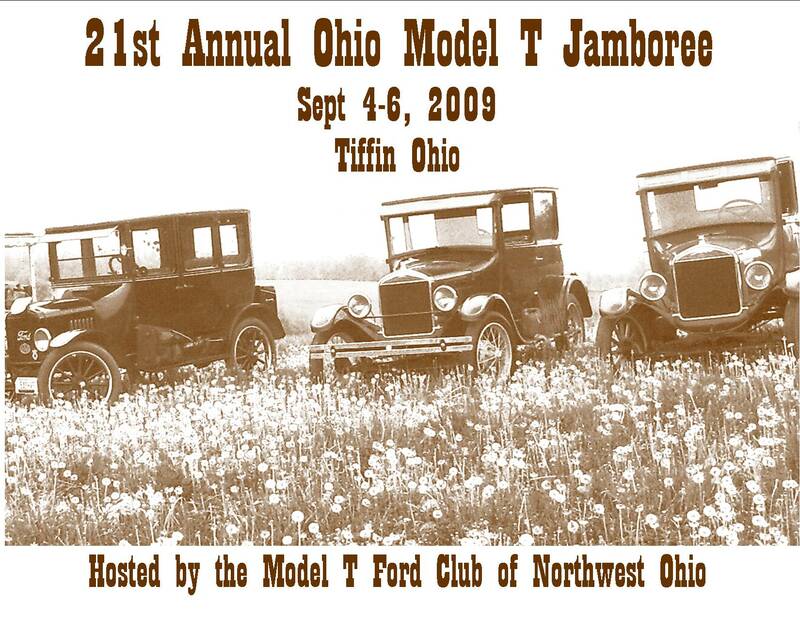 In Jamboree news, the invitations have all been sent out and reservations are coming in. The host hotel and the first overflow hotel are booked solid. The last I checked there were still 20 rooms available at the Hampton. I have even sent some of the people who were looking for a cheaper hotel to the Tiffin Motel. Bob Torbet has said that he will be pushing hard for help on the jobs that are still left to be done. We will need help with obtaining donations from a pre-existing list of previous donors. There will be signs to put up the morning of or the day before the tours. We have been contacted about advertising in the tour book. We will need to see what everyone thinks about this along with any raffles. These things seem to make money; but, I'm not the guy to organize such a thing. On a sad note, club member Denny Russell passed away at 11:30 pm, May 22nd. His final wish was to be home when he died; so, he was moved from Blanchard Valley Hospital to his home. The club has made a donation to the Railroad Museum in Findlay that he helped to found. We took a trip to the Bucyrus Visitor's bureau to see some of the sights that were available. It seems that the little town of Bucyrus had early ties to organized crime. The town was a stopping spot for early gangsters as it was on the Pennsylvania railroad line between New York and Chicago. There is a below street speakeasy that was connected by underground tunnels that connected most of the downtown with the railroad. The speakeasy will be open for everyone on the Ohio tour. The Toledo and Ohio Central restored railroad depot will also be open as they celebrate Hobo Days on Labor Day weekend. Downtown near the town square we will be invited to visit the only commercial copper kettle maker in the state. Bucyrus also is the spot of the largest Lincoln Highway marker and some great realistic murals. Phil and Jack have been learning how to make castings from wax patterns. The process is really quite simple. Make a negative impression mold, create wax positive impressions, pour a solid negative impression mold around the wax. heat the mold to melt out the wax, pour metal into the mold, break the mold apart, and clean up the casting. By the time you're done with all of that, every casting is worth $500 in time and materials. It's the price of the restoration hobby. 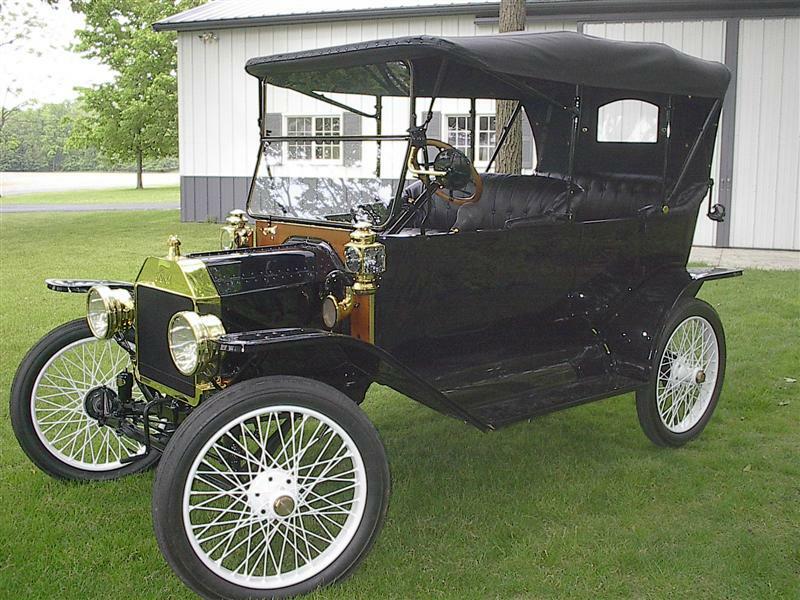 Jack is just about finished with the building of the 1914 touring. The touring has been fitted with electric lights in the gas light assemblies for easier night driving. For those of you who have been following this project, the top was a real bear and required some custom alterations. The wire wheels are a nice touch. Jack claims that the cas has about seven miles on it so far. 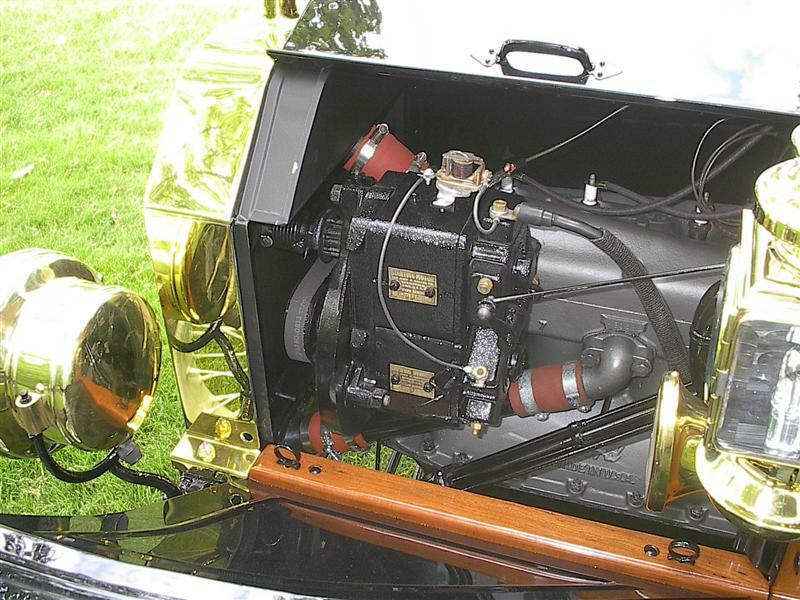 The 1914 touring is sporting a rebuilt Heinze-Springfield starter/dynamo. Jack reports that it is performing great. It is a real conversation piece. The dynamo is on the bottom and the starter is on the top. My guess is that most of these things quit working from carbon arc buildup on the contacts. If you happen to find one of these at an auction, buy it. They are definitely restorable. Since the Ottawa tour was cancelled, many of us opted to join the Mad River T's on a tour around Greenville, Ohio. 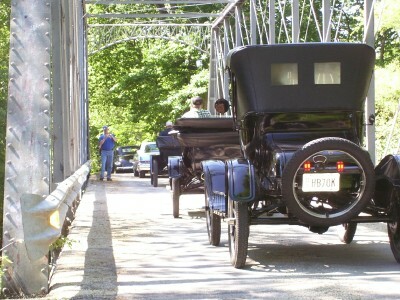 We traveled from Bruce Kleplinger's home across an old steel bridge to the Bear Mill. 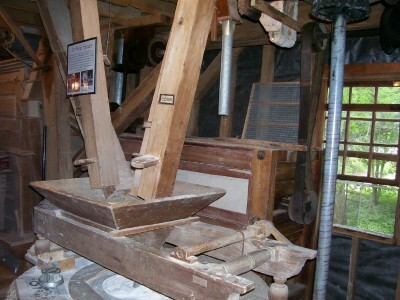 This mill is still an operating grist mill. They have stones that were imported from France and are still in service to this very day. The proprietor was happy to show us around the place and tell us about his life's woes (financial, political, marital, entrepreneurial). He was great!! Sue and I picked up some strawberry preserves and cherry butter. 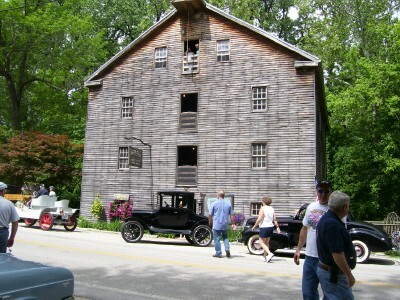 The picture to the right shows the Bear Mill with Bill's new roadster in the bottom left. It handled the 60 mile tour a little better than Joy did. They finished the day with a drive from Versailles to Sidney. In the picture below we see Joe Bell, Dave Nolting, and Jack Putnam trying to figure out just what they are looking at. The picture on the right shows one of the grindstone setups. 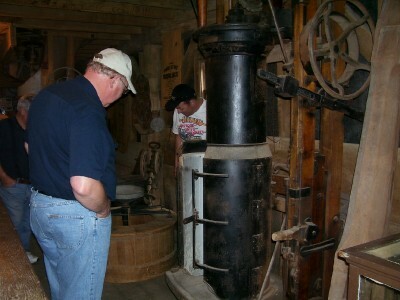 The grain is fed from above and the wheel is turned by opening a gate that flows water through a turbine under the mill. The distance between the stones and the rate at which the grain if fed determines the success of the grinding. With all of the wonderful places that we stopped on this tour, I was having so much fun that I neglected getting many pictures. I apologize!! When we got back to Bruce's home, we had the chance to see and ride in some of the old cars in his collection. 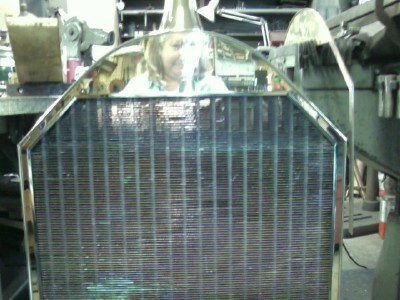 I mentioned to Bruce that I had just recently finished a Hupmobile radiator that would look great on his father's car. The reflection in top is my wife Sue. These are interesting radiators with a top-mid inlet tank that only uses three of the five rows of tubes. You can sense its location at the bottom of the 45 degree angle about 3 inches below the top holding tank.